“You’re right, my friend. It’s cawled survival,” he said. I wonder how my blood alcohol is going to affect the blood work, since I went to Johnny’s last night with Richard Prins, who has James Baldwin tattooed on his back. “We’re going to hit the Mars Bar after the NYU Christmas party,” we said to Zach, the sweet / tough bar man, whose wife loves to go fishing. Anyway, he said that when he goes to the Mars Bar, he stands with his back to the bar, facing out. As Obi Wan Kenobi said in Star Wars about Mos Eisley spaceport, “you will never find a more wretched hive of villainy and scum. We must be cautious.” I’m looking forward to it. 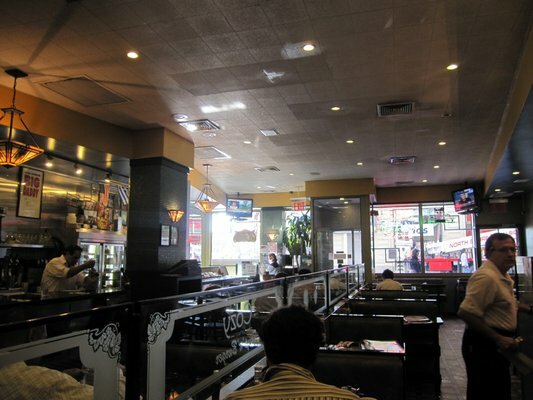 As I write, in a booth in Cozy’s Famous Soup ‘n’ Burger at Broadway and Astor Place, near the Village, I’ve just finished hash browns, two sunny eggs with crispy bases, and crispy American bacon, three cups of weak diner refill coffee and four glasses of iced water. The great grimy loo, the cheesy photos of famous Greeks like Telly Savalas (my father spent the 70s saying, “who loves ya, baby?”) and Alf, such 70s and 80s mementos, the owners greeting you briskly with their Greek English, so touchingly “immigrant” still, in their no-nonsense, almost Madrid-style brusqueness – in the Mediterranean you know that they like you if they seem rude – it almost makes me tear up, knowing I’m leaving New York in four days for the Christmas. 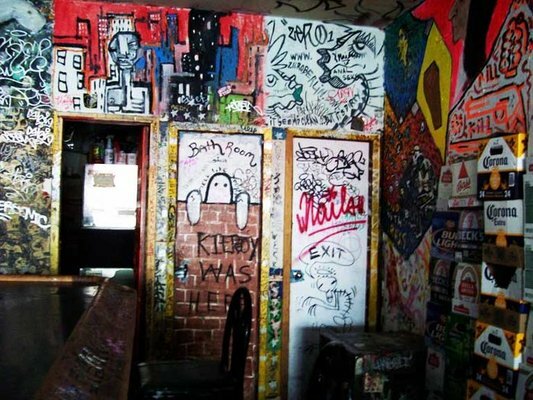 And, “give me scrambled two,” such great garbling drifting through the Xs and Ys of aural Greek; that there are still places like this makes me happy as I write, and peel off my two plasters, taking some arm hair with them, the sadist. Ah, the pleasure of a hot fried unhealthy breakfast after fasting for bloods, and walking out afterward onto Broadway anonymous at 10 a.m., without having had much sleep, but in a warm winter coat in the chill, and the brisk December sunlight waking your eyes.